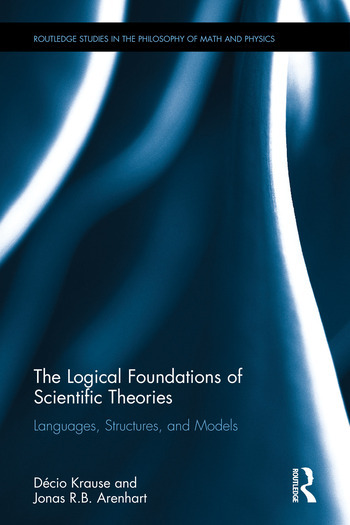 This book addresses the logical aspects of the foundations of scientific theories. Even though the relevance of formal methods in the study of scientific theories is now widely recognized and regaining prominence, the issues covered here are still not generally discussed in philosophy of science. The authors focus mainly on the role played by the underlying formal apparatuses employed in the construction of the models of scientific theories, relating the discussion with the so-called semantic approach to scientific theories. The book describes the role played by this metamathematical framework in three main aspects: considerations of formal languages employed to axiomatize scientific theories, the role of the axiomatic method itself, and the way set-theoretical structures, which play the role of the models of theories, are developed. The authors also discuss the differences and philosophical relevance of the two basic ways of aximoatizing a scientific theory, namely Patrick Suppes’ set theoretical predicates and the "da Costa and Chuaqui" approach. This book engages with important discussions of the nature of scientific theories and will be a useful resource for researchers and upper-level students working in philosophy of science. Décio Krause is Professor of Logic and Philosophy of Science in the Department of Philosophy of the Federal University of Santa Catarina, Brazil. His works deal with the logical foundations of science, mainly involving the logical and metaphysical discussions about identity and individuality of quantum entities, and the applications of non-classical logics to sciences. Jonas R.B. Arenhart is Associate Professor at the Department of Philosophy of the Federal University of Santa Catarina, Brazil. His main research interests are logic and philosophy of logic, philosophy of science, the metaphysics of science, and foundations of science.